Remove from heat and let steep until cool. Strain. 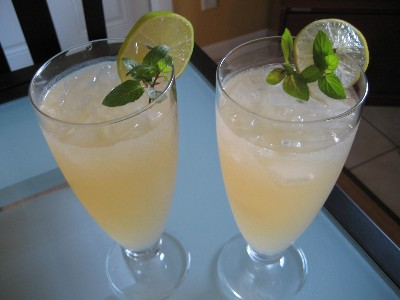 To serve, fill glasses or a pitcher with equal amounts of fruit juice, ginger ale and water. Add ice and serve immediately.